Any problems with your 4iiii Precision? 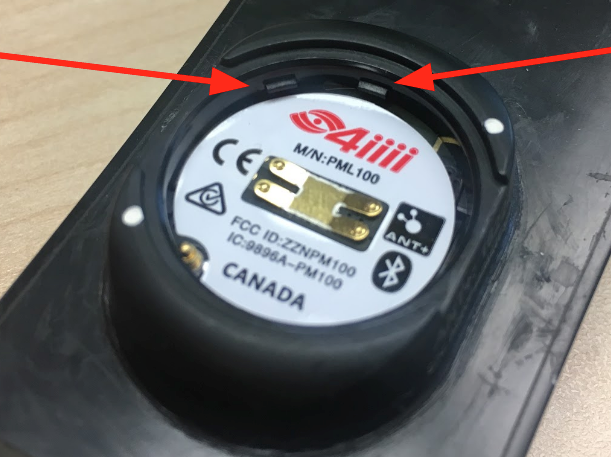 Connect to the 4iiii app (iOS - 1.26.0; Android - 1.8.0) and ensure you have updated the power meter with the latest firmware (2.1.0). Ensure you have an internet connection so the factory calibration values can be restored. 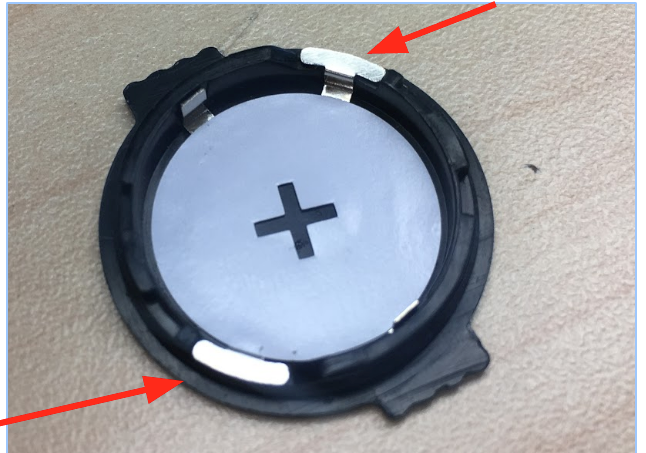 Please open your battery cap and gently nudge the two copper battery contacts with your finger to make sure they are well attached. There should be a little one near the edge, and a large rectangular one in the centre. 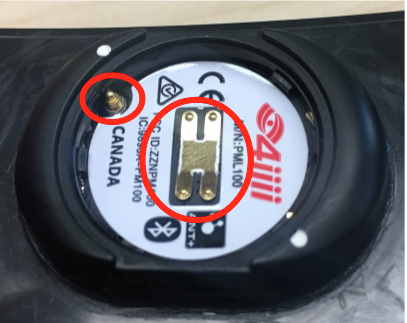 If it looks like the large rectangular one is flat against the bottom, use a jeweller's screwdriver or similar tool to very gently lift the ends of the prongs 1mm off the bottom of the pod, so that they press against the battery more firmly. 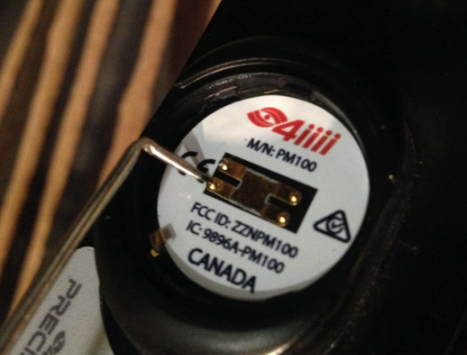 Then, place an upside down (+ terminal down) battery into the pod so that it touches both of the battery contacts for a few seconds before reinstalling the battery in the correct orientation. This will remove any residual charge. Please also enable "3rd Party Apps" in the 4iii app. Let me know if you still have problems with your unit.